Mary Higgins Clark has been writing thrilling mysteries for decades. 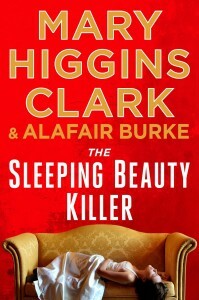 The Sleeping Beauty Killer, the fourth book about TV producer Laurie Moran, is her third collaboration with Alafair Burke. The Sleeping Beauty Killer finds Laurie Moran filming an episode of her TV show, Under Suspicion, about Casey Carter, a woman who spent 15 years in prison for killing her fiancé. Casey claims she’s innocent, but Laurie remains on the fence about her guilt while she interviews everyone related to the case. Laurie is also on the fence about whether to pursue a relationship with Alex, her former host. 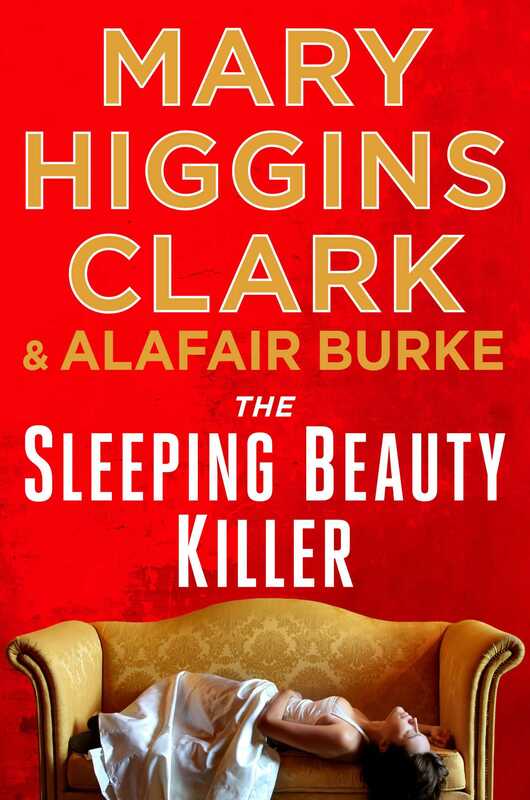 Although I haven’t read any of the previous books in the Under Suspicion series, I had no trouble reading The Sleeping Beauty Killer as a stand-alone book. I didn’t feel like I was missing big chunks of the over-arching storyline. The fact that it’s part of a series didn’t occur to me until the end of the book, because it seemed to stop in the middle of a plotline. Otherwise, The Sleeping Beauty Killer works well on its own. Like all Mary Higgins Clark books, the pace is quick. The story moves quickly, without skipping over the salient facts of the investigation. The pieces fall into place just when they should, leaving enough clues to make the mystery believable in the end, without making the real killer too obvious. (Full disclosure, I knew who the real killer was right from the beginning, and how they would figure it out, but I am a seasoned mystery reader.) The climactic scene feels a little rushed, but that might be because, by the time it happens, we’re all in on the story and just waiting for it to play out. It’s a plausible scene, however. Whereas some stories end with the characters suddenly developing sharp-shooting and combat skills, these characters don’t act in surprising ways. Speaking of pace, The Sleeping Beauty Killer is masterful at building the reader’s frustration so that the end comes as a big relief. We feel Laurie’s exasperation with some of the players around her. Nothing is too easy, and plenty of mysteries, big and small, pop up in her path along the way to the killer’s revelation. None of Laurie’s obstacles slow her down too long, of course, because the action has to keep moving. Mary Higgins Clark deftly creates unique characters, who are multi-dimensional, in a short amount of time. She’s masterful at writing strong women who aren’t caricatures. The same goes for the men in the book. Too many times, female-centric books have cartoonish male characters who are either heroes or jerks wholesale. The men in The Sleeping Beauty Killer are essentially there to serve Laurie’s needs, but they’re still fully realized. The only time the characters seem thin is at the end, when things wrap up a tad too quickly. The book is set in Manhattan. Mary Higgins Clark doesn’t explore its darker corners like, say, The Goldfinch, but it’s not that kind of book. The sanitized version of New York City serves this kind of thriller well. We visit several spots around town, like the Upper East Side and Brooklyn, but the city doesn’t become its own character, by any means. The Sleeping Beauty Killer is perfect for when you want to read a thriller that won’t send you into an existential crisis. It’s a fast, fun read, with enough mystery and suspense to keep the pages turning, but not so much depth that you’ll find yourself thinking about it when it’s finished.